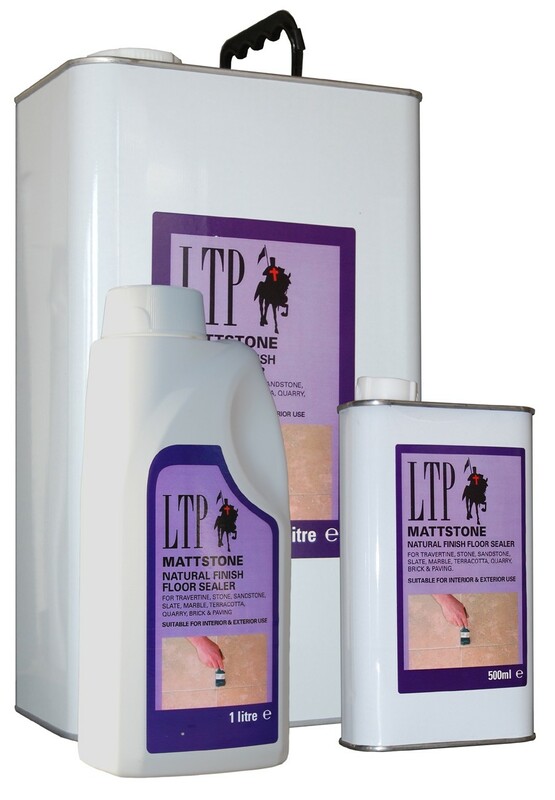 Suitable for all wall and floor surfaces LTP Mattstone provides a natural matt finish with minimal change to surface character on travertine, quarry tiles, terracotta, slate, stone, unpolished marble, terrazzo and cement floors. Provides effective resistance to staining from coffee, wine and other domestic fluids. Maintain with LTP Waxwash on floors and LTP Stonewash on walls. Can be used in wet areas. Suitable for interior and exterior use and on floors that have no damp proof course.